This year, my granddaughter has been chosen as the " Champion Child" for Lace Up For Kids. 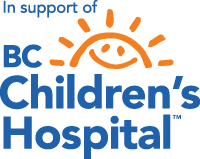 It is a fundraiser held by UBC for BC Children's Hospital to support research for Rare Disease. If you would like to make a donation by helping me raise funds for this important event, please find me in Team Blueberry. The event is on Thursday of this week, so there is a short window of opportunity to participate. You are also welcome to attend the skating night at UBC rinks.